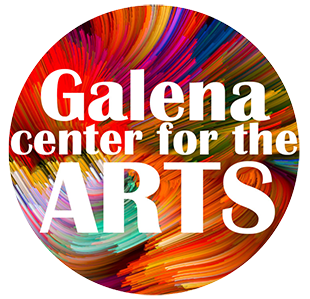 The Galena Center for the Arts strives to elevate and celebrate regional arts and artists by offering high-quality art in an atmosphere and presentation found in leading art institutes and theaters. By highlighting regional artists, alongside innovative and diverse programming, the Galena Center for the Arts strives to make the arts accessible to our rural area as well as showcase our best regional talent in a professional art setting for our considerable visitor population. The Galena Center for the Arts was developed upon being identified as one of the community's top 5 big ideas during the Galena Vision2020 study. In 2010, over 900 ideas to enhance the Galena community and enrich the lives of its people were suggested. The list was reduced to 100 ideas by a panel of residents and the final ideas were picked by popular vote. One of the final ideas was to "Develop a cultural arts center that would include the performing arts and a venue for presentations and exhibits." Our not-for-profit organization was founded in June 2013. On June 7, 2018, the Galena Center for the Arts celebrated our fifth birthday! Since 2013, we have welcomed over 15,000 guests to the center and have shown the work of over 130 exhibiting artists.